ASA Midwest Council helps St. Louis subcontractors become more profitable and provides members with numerous benefits. ASA’s goal is to makes our members more efficient and effective at doing business. We are an organization that helps its members increase their business and make them better at what they do on a daily basis. ASA Midwest Council provides extensive opportunities to learn about and network with customers and peers, and ASA provides a safe place for construction business leaders to discuss their business challenges and opportunities. Being active in ASA-MWC is a great way to meet with and interact with all of the members of the construction team, including customers and prospective customers. ASA Midwest Council events are “must attend” for everyone in the St. Louis construction Community. Our Meet the GC’s Expo, Awards Gala, Golf Tournament, and our STL Construction Showcase and BBQ, set the standards for all industry events. These events attract those from all aspects of the construction industry including General Contractors, Subcontractors, Suppliers, and the Service Providers to the construction industry. ASA-MWC and ASA are your voice in the construction industry both locally and nationally. Industry collaboration, driven by ASA, produced ConsensusDOCS, the only standard construction contracts built by industry consensus. Not sure about the business practices of a prospective customer before submitting a bid? Well, stop bidding in the dark. ASA-MWC’s BPI sessions afford you the opportunity to exchange factual information about your customers and prospective customers before you submit your bid. ASA Midwest Council has a contract review committee and an extensive library of marked up contracts from local St. Louis GC’s,for review by our members.ASA’s subcontractor bid proposal, subcontract addenda, and reservation of rights stickers help you preserve your rights during the subcontract negotiation process. All of these documents are available at no cost to members on the ASA National web site. ASA-MWC meetings polish your tools of the trade. Our programs are designed specifically for construction subcontractors, suppliers, and service providers to the construction industry. ASA webinars and podcasts provide you with the opportunity to advance your business skills without leaving your office. Our Partners in Construction Program gives you access to some of the most highly respected general contractors in the St. Louis area. Construction generates billions of dollars in revenue annually but government generates countless regulations and legislation complicating the business of construction. ASA is your voice in Jefferson City and in Washington, D.C. Legislators and other decision-makers hear your point of view on issues affecting business conditions for subcontractors. ASA-MWC’s and ASA’s membership directories promote your company throughout the industry to give you greater industry exposure. The ASA MWC member directory is distributed to over 100 local general contractors each year. The ASAdvantage Program and ASA MWC Affinity Program provide access to discounts on project documentation, equipment, supplies, fleet services, insurance and more. ASA-MWC and ASA monitor the every day workings in the construction industry and provide that information in an easy-to-read and digest format. Our Web sites provide resources you won’t get any where else. 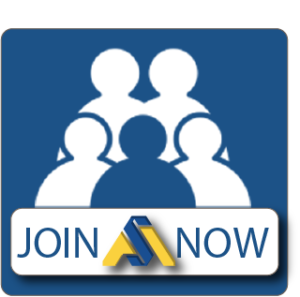 Want to know more about ASA Membership? Feel free to contact ASA Executive Director Susan Winkelmann at 314.845.0855 or send us an email.